Saving money on a new Subaru in Orlando, FL is simple. The first step is to research the Car model of interest and identify any other vehicle of interest. You’ll receive Car price quotes from Orlando, FL Car dealers. Simply compare prices to find the best Car prices in Orlando, FL. 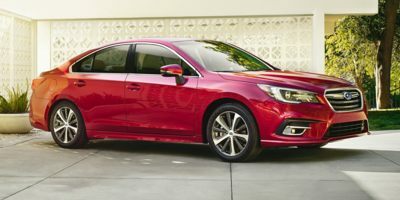 The 2018 Subaru Impreza comes in two different body styles--a hatchback and a sedan. No matter the body style, however, power comes from a direct-injected 2.0L flat-four engine making 152 horsepower. Power is sent to all four wheels via either a standard 5-speed manual transmission or a continuously variable automatic. Either way, the Impreza will make an ideal companion for trips into the mountains, where snowy weather is no problem for its all-wheel drive system, which automatically seeks out and send power to the wheels that need it the most. The Impreza comes in four different trim levels, with both body styles available every step of the way. Trim levels are 2.0i, 2.0i Premium, 2.0i Sport and 2.0i Limited. The base 2.0i trim still comes relatively well equipped from the factory. Standard features across the entire Impreza line include power windows and side mirrors, cruise control, steering wheel mounted audio controls, a locking glovebox, a 6.5-inch multimedia display and a rearview camera. The Premium trim comes standard with a CVT, boosting fuel economy to 28 mpg in the city and 38 mpg on the highway in the sedan, though the less aerodynamic hatchback gets only 37 mpg on the highway. Beyond the trick transmission, the Premium trim also adds 16-inch alloy wheels, heated mirrors and front seats, automatic headlights and a nicer sound system with more speakers. 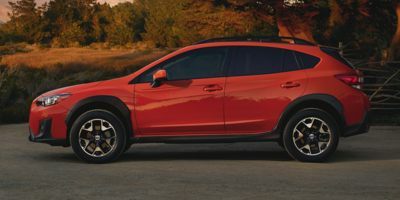 The Sport Trim aims to bring a little bit of fun to the Impreza lineup, and as such it does away with the CVT as standard, though that transmission is still available should buyers want it. The biggest trick up the Sport Trim's sleeve is an active torque vectoring system, which works in conjunction with stability control to actively improve the car's handling, at times braking an inside wheel mid corner to help the car turn in. Further aiding handling are the Sport's wider tires and 18-inch wheels. The Sport also gets unique side skirts, mirror-mounted turn signals, a spoiler, a leather-wrapped steering wheel and shift knob, and unique upholstery. Keyless access and a bigger 8-inch multimedia display round out the features that come standard on the Sport. 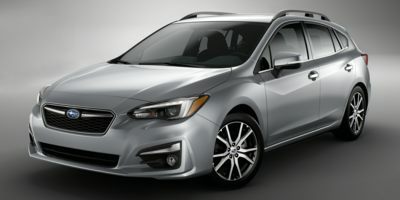 Top-of-the-line Limited Imprezas come standard again with the CVT transmission along with 17-inch alloy wheels, fog lights, chrome door handles, a power driver's seat, leather-trimmed upholstery and an automatic climate control system. Compare Orlando, FL Subaru prices. Get free price quotes for any Subaru in Orlando, FL. See the invoice price, MSRP price, and clearance prices for all vehicles. Save big when Orlando, FL Subaru dealerships compete on price. Compare Subaru prices, pictures, reviews, local rebates and incentives, and more. View all used vehicles for sale in Orlando, FL. Compare used Subaru vehicles and get the best deal in Orlando, FL. See prices, pictures, vehicle specs and everything you need to get the best deal on a used Subaru. Bad credit auto loans and good credit auto loans for a new or used Subaru in Orlando, FL. Compare current auto financing rates and get approved before you go to the dealership. We can get financing for nearly all new or used Subaru buyers in Orlando, FL. Get a free auto loan quote today. Compare auto insurance rates from top lenders. Get the lowest monthly payment on a new or used Subaru in Orlando, FL. With free Subaru insurance quotes, you can save money regardless of driving history.